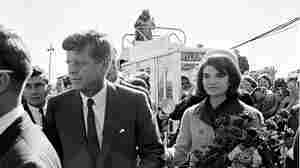 The Kennedy Assassination, 50 Years Later Explore NPR's coverage of the 50th anniversary of the JFK assassination. 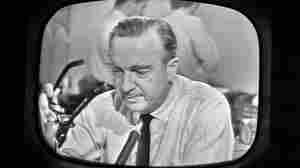 November 22, 2013  Walter Cronkite anchored the CBS News coverage during the first hours after bullets hit President Kennedy in Dallas 50 years ago Friday. 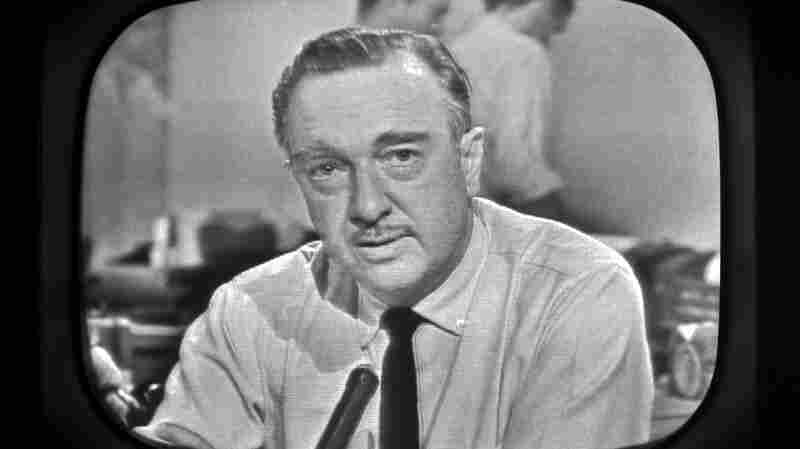 Cronkite returned to that day many years later in a piece for NPR, weaving together audio from the archives and his own reminiscences. 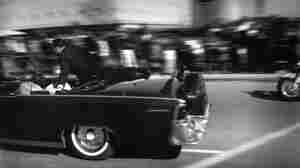 November 22, 2013  Critic David Bianculli remembers watching the original news coverage of Kennedy's assassination — four days of unprecedented television — when he was 10 years old. He recalls how from that point on, TV, not radio, was the dominant medium for breaking news. November 22, 2013  NPR's Code Switch blog is compiling moments from 1963 — a pivotal year in U.S. history — and is tweeting them as they happened then. 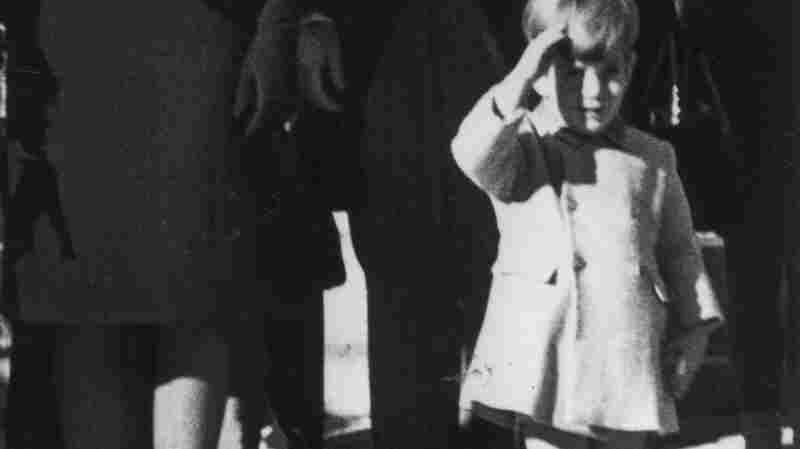 Watch as the tragic events of John F. Kennedy's assassination unfold in real time. 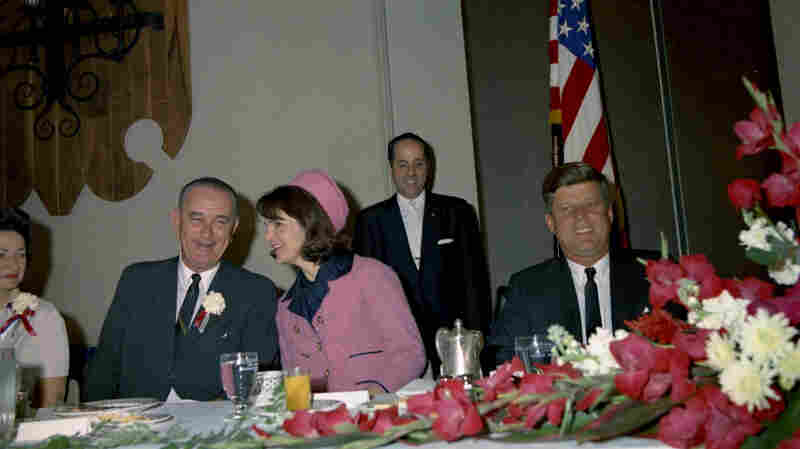 November 22, 2013  When he went to work on Nov. 22, 1963, ambulance driver Aubrey Rike had no idea that he would soon be offering a moment of support to Jacqueline Kennedy. 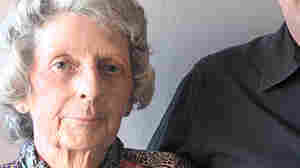 "It was unbelievable that something like that happened, and he was part of it," says Rike's widow, Glenda. 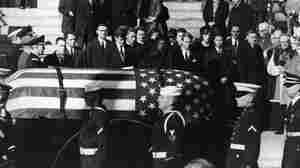 November 21, 2013  A photo gallery of events leading up to and after President John F. Kennedy was killed in Dallas on Nov. 22, 1963. 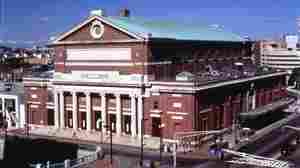 November 21, 2013  The orchestra was mid-performance when news of the president's assassination reached the symphony hall in 1963. The musicians had to decide: suspend the concert or continue? Their decision transformed a moment of shock into a moment of shared consolation. November 21, 2013  Listen to an unforgettable response to the tragedy. 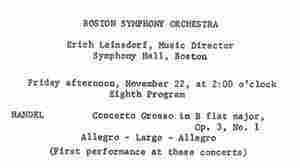 Hear what happened next at Boston's Symphony Hall, just after conductor Erich Leinsdorf announced news of the assassination, and learn more about the backstage story. November 21, 2013  Most politicians recognize the importance of the Latino vote, but John F. Kennedy might have been the first presidential candidate to actively court it. 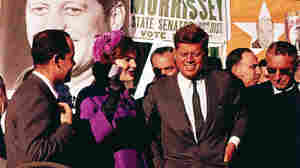 Viva Kennedy clubs started by former Mexican-American veterans were an important factor in Kennedy's 1960 victory. November 18, 2013  Publishers have flooded the market with books — both new and reprinted — about JFK this fall. 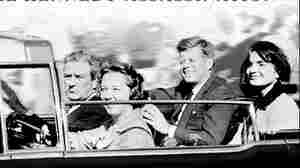 Some hazard conspiracy theories or point out the failings of the Warren Commission. 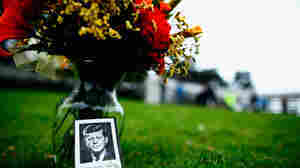 Others avoid the subject of the assassination, focusing on JFK's character and legacy. And one includes all 486 frames of the famous Zapruder film, published in their entirety for the first time. November 17, 2013  "Those whose jobs often involve great emotional stress develop an amazing stoic power to defer emotion — a power that momentarily eluded me," Walter Cronkite said about his announcement of President Kennedy's assassination. 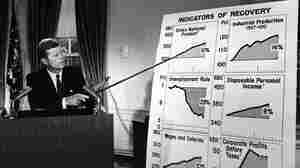 Listen to his recollections and three other compelling pieces from the NPR archives. November 17, 2013  In the 50 years since the Kennedy assassination, Texas has become bigger, richer and more influential politically. Its economic model has not made everyone winners, but it's been attractive enough to draw millions of newcomers. 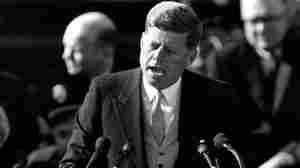 Who Were You When JFK Was Shot? November 13, 2013  Everybody of a certain age remembers where they were during a Moment of National Significance. But do you remember who you were? And how the event changed your life? 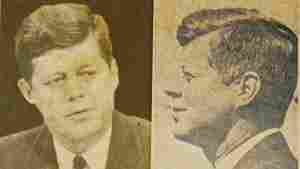 November 10, 2013  Some three decades after the Warren Commission's report on the assassination of President John F. Kennedy, a board was established that declassified thousands of documents. Congress hoped it would clear up lingering conspiracy theories, but it didn't. 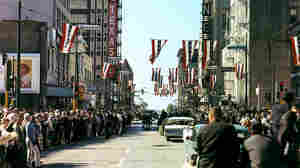 November 7, 2013  The Secret Service made some immediate changes after the president's death 50 years ago this month: Open limousines were out. And it began taking a more aggressive approach to its advance work. Over the years, the service has established counter-sniper units, assault teams and surveillance units. 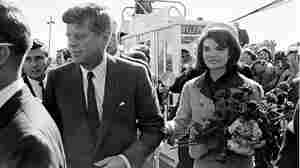 October 28, 2013  It's been 50 years since President John F. Kennedy was assassinated, and polls show that a majority of Americans still believe Kennedy was the victim of a conspiracy, not a lone assassin. Philip Shenon, author of A Cruel and Shocking Act, explores what keeps these conspiracy theories alive. October 9, 2013  Bill Minutaglio and Steven L. Davis have written a portrait of the city that saw John F. Kennedy's death firsthand. In those years, they say, Dallas was a roiling stew of superpatriotism and Communist paranoia — and, above all, distrust of the president. 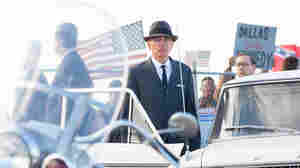 October 3, 2013  Parkland, from writer-director Peter Landesman, follows people caught up in the drama around the John F. Kennedy assassination, including hospital staff, the Secret Service and the Oswald family. Zac Efron, Marcia Gay Harden, Billy Bob Thornton and Paul Giamatti star.